Ever wonder what other people get for their dogs? Or if there’s something awesome you’re missing out on? Well then, this post is for you! 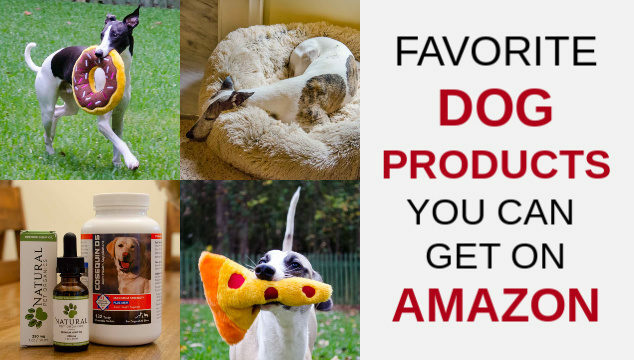 I’ve put together a list of my favorite dog products you can get on Amazon. You will find dog toys, supplements, treats, beds, and a few things for dog moms on the list. These are products I actually use and love. They truly are my favorites. The toys are ones my dogs pull out of their over-flowing toy box when they want to play. So I’m not just trying to sell you stuff. I know how it feels to go to a list and get the impression they really don’t use the products. 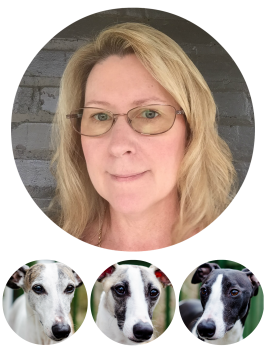 Photos are of my dogs or taken in my home – with the products. Links below are affiliate ones. As an Amazon Associate, I earn from qualifying purchases. Luke has loved this Chili Pepper Dog Toy since he was a puppy. It’s a part of a set of small fruit and vegetable plush squeaky toys. His second and third favorites in the set are the carrot and eggplant ones. 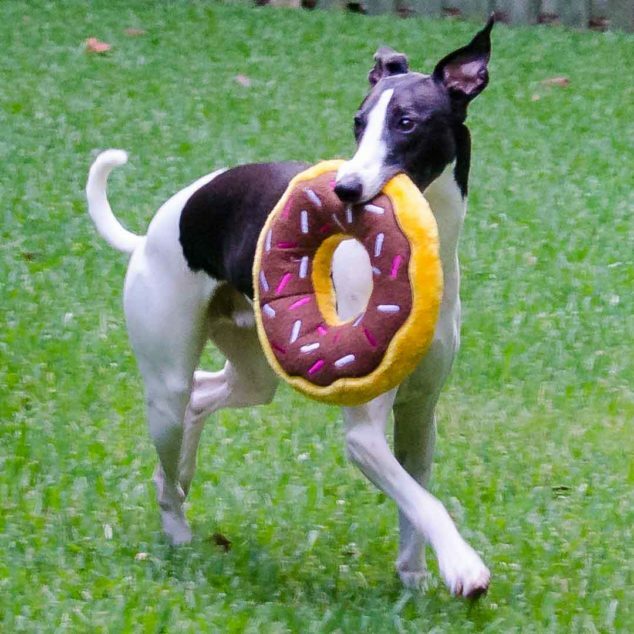 This Donut Dog Toy is one of Milo’s favorites. 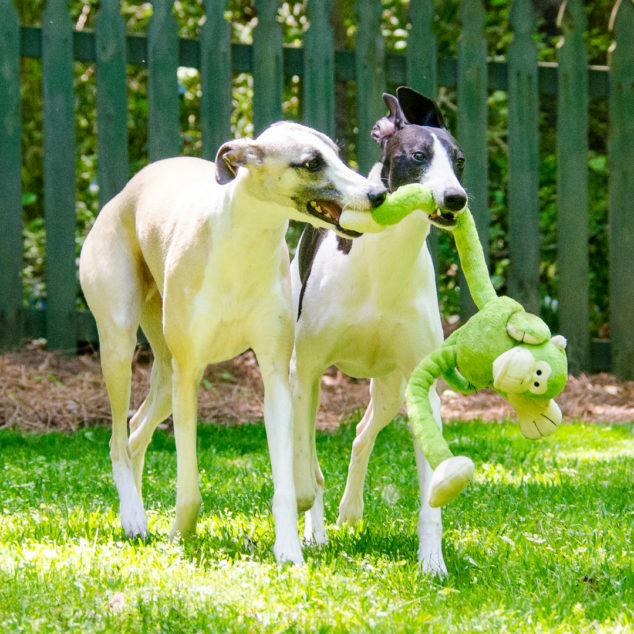 The Monkey Dog Toy is a great one for dogs that play together. 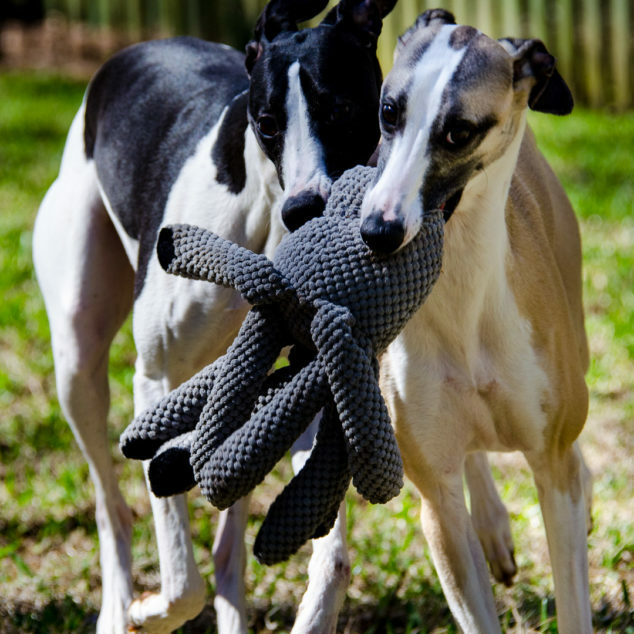 The Octopus Dog Toy is another one great for playing together. 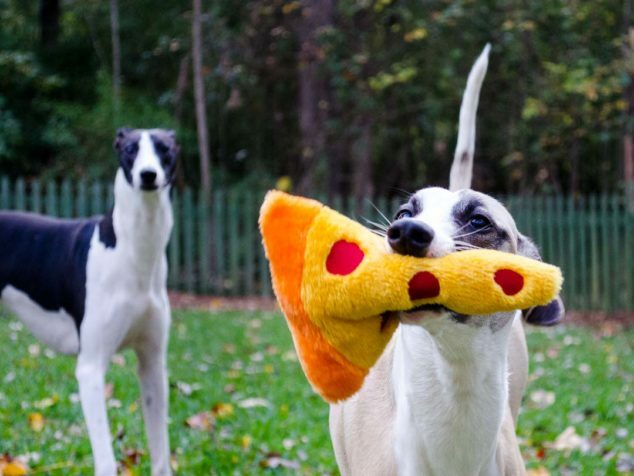 Fun Pizza Slice Dog Toy that’s colorful too. I love this photo. Luke’s tail sticking straight up and Milo’s face. Makes me smile every time I see it. 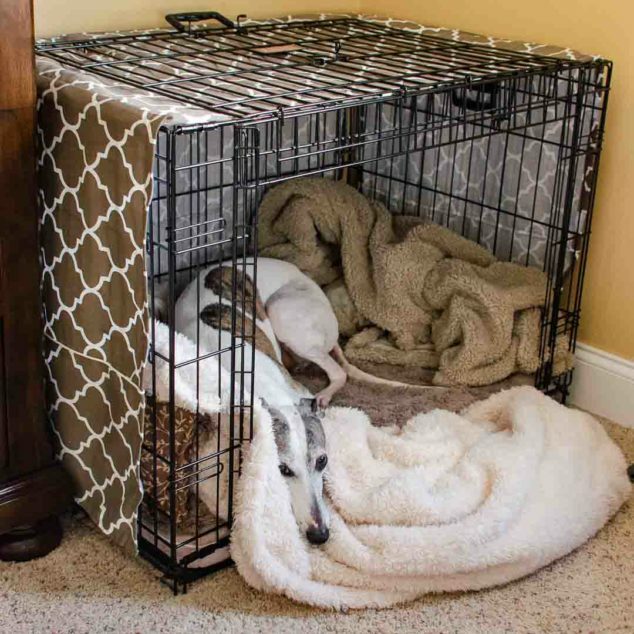 Make a dog crate super stylish and comfy with a pretty crate cover, soft crate mat, and plush sherpa throw blanket. Both mat and blanket can be machine washed and dried. Zephyr really loves those fluffy blankets and mat. 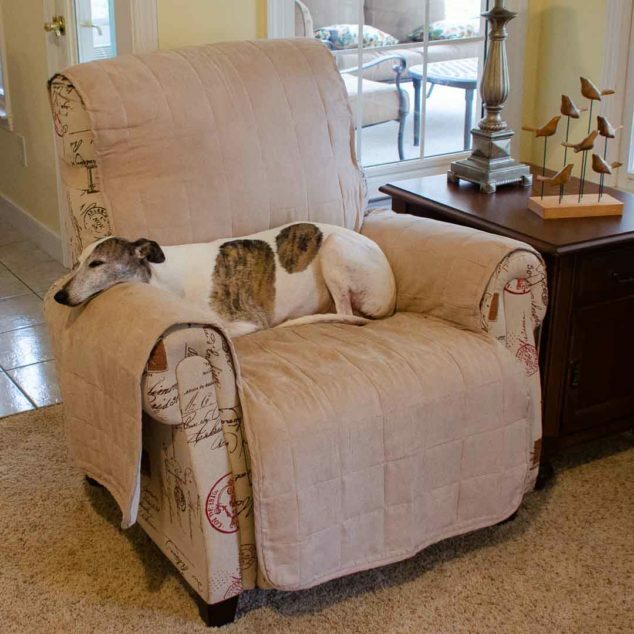 Dogs and a linen upholstered chair is not a good combination. Thank goodness for this chair cover. It does a superb job of keeping the dirt off the chair and looks better than covering it with a blanket. Natural Pet Organics Hemp Oil for Dogs has really helped Milo and I recommend it for fearful dogs. 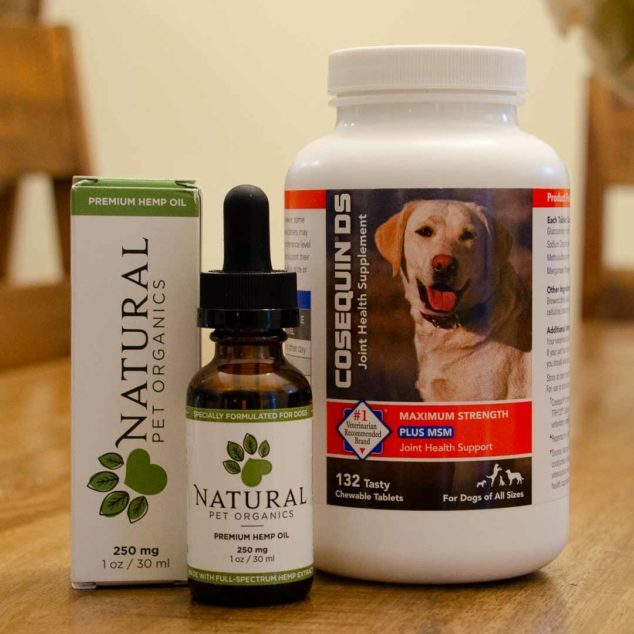 Read Milo’s Progress with CBD Oil for Dogs. Cosequin DS helped Zephyr. He’s an older dog and I noticed he was moving slower and sometimes acting stiff. I saw improvement after giving it to him for a month. 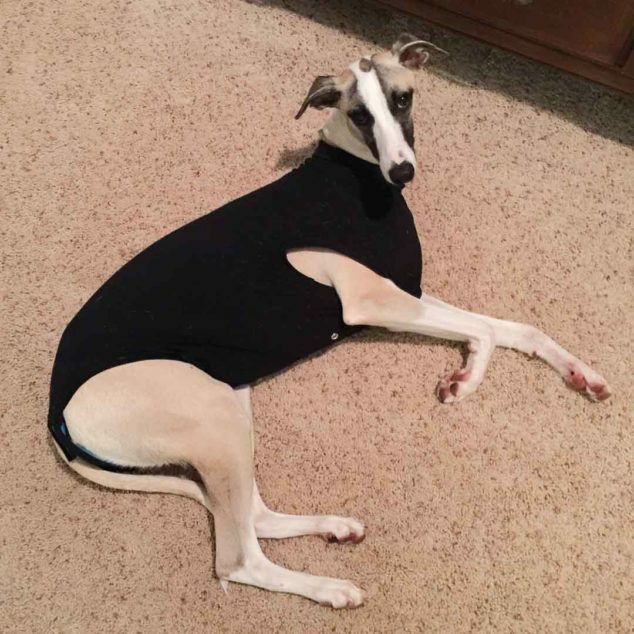 We got this Suitical Recovery Suit for Dogs when we had a hard lump removed from Zephyr’s groin area. It worked so well and we used it again when Luke was neutered. Poor Luke had a testicle that didn’t drop and so it was a more invasive surgery than usual. 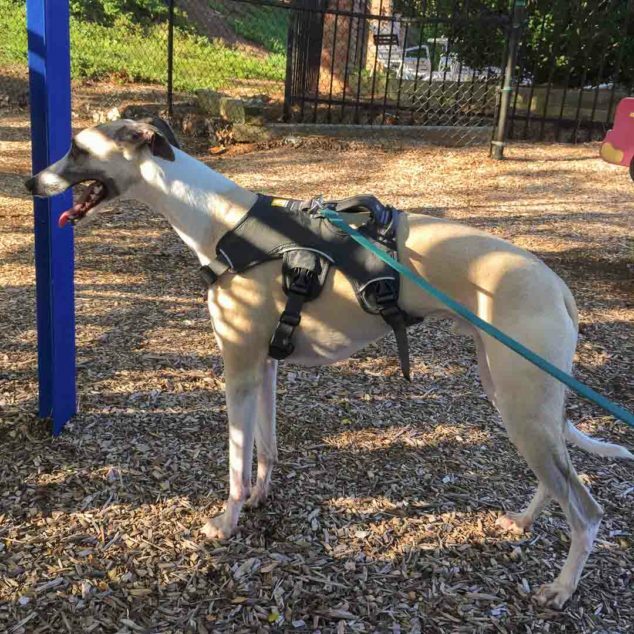 Cones don’t work well for whippets. 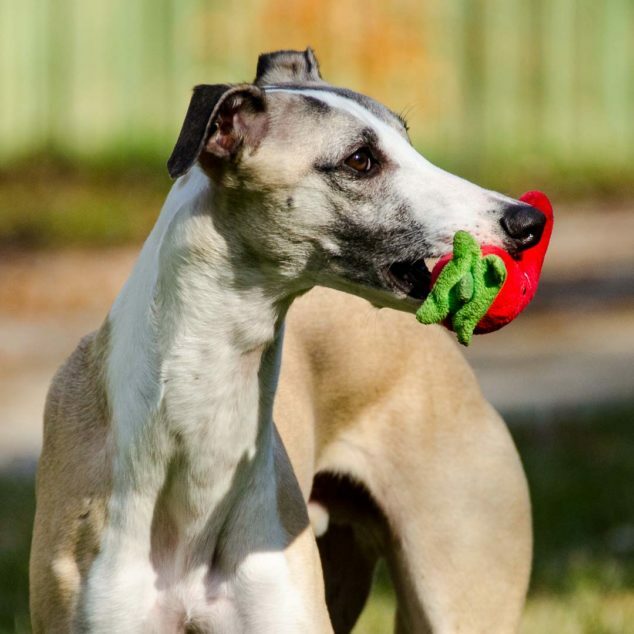 Their neck and nose are long and they can get to areas on their tail end. 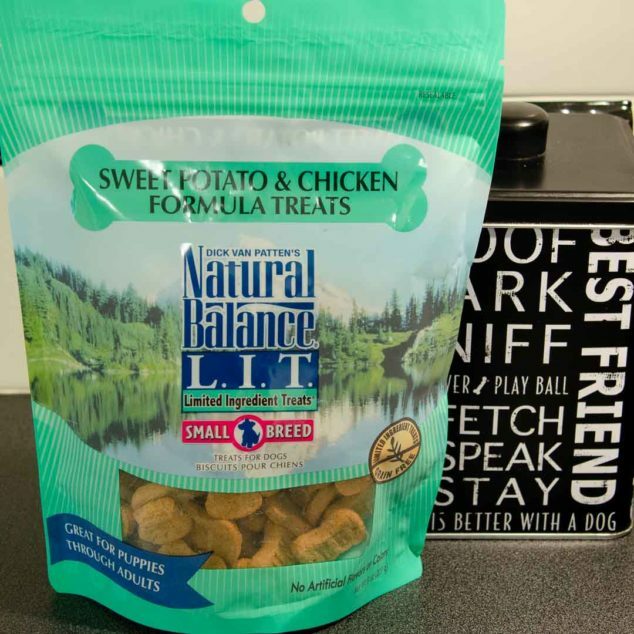 These Natural Balance Limited Ingredient Dog Treats are grain-free and my hounds love them. Luke has a sensitive stomach and so I am picky about what treats I give to him. Luke can’t escape out of this Ruffwear Web Master Harness like he could with a martingale collar. Yes, I’m an introvert and a crazy dog mom. 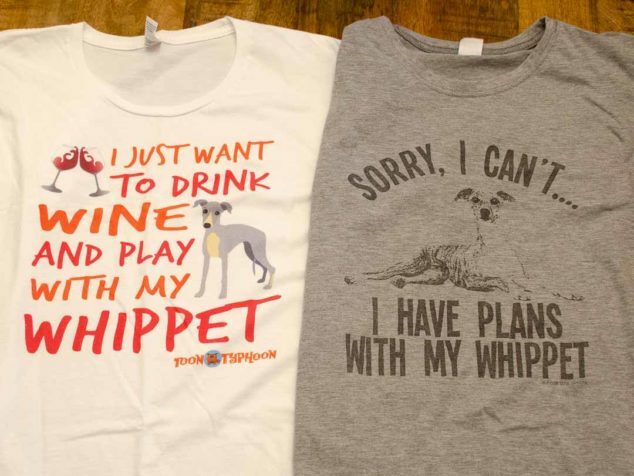 Both the I Just Want to Drink Wine and Play With My Whippet and I Have Plans with My Whippet t-shirts are perfect for folks like me. 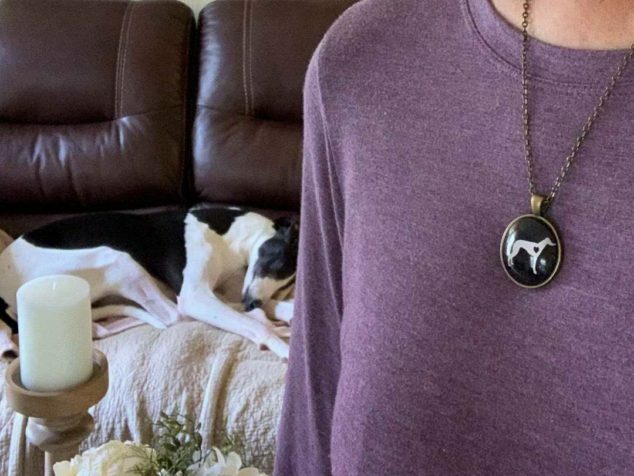 I get lots of compliments whenever I wear this Whippet Necklace. 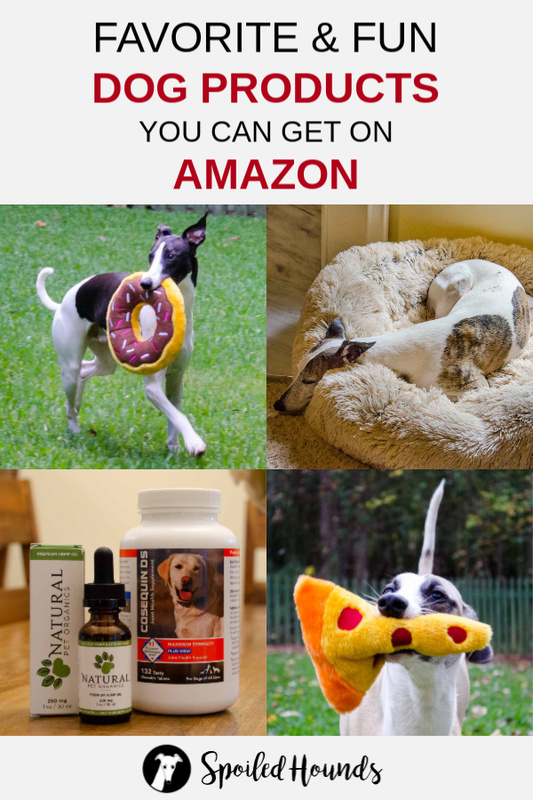 Those are my favorite dog products on Amazon. I hope you and your dog will enjoy any them as much as we do. Your dogs are so lucky, now I see why your blog is called Spoiled Hounds! My dogs are big fans of Natural Balance treats and food. I love the convenience of shopping on Amazon. I love that picture with the donut toy. Those Hugglehound octopi were super popular sellers in my store too. Nice product line. You have very lucky dogs! Those soft toys are adorable! I can’t give my dog Remy most toys because he destroys them and eats them within a few minutes. We have bought several Kongs on Amazon though because those are the thing that will last! 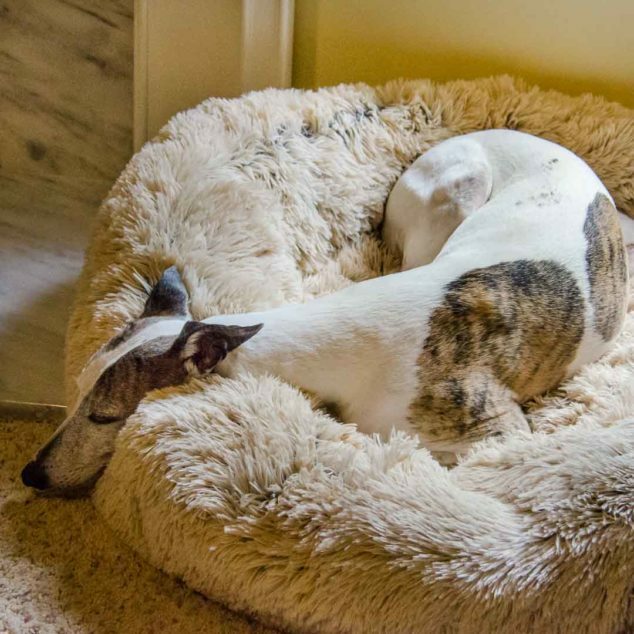 That dog bed you shared is adorable! Love that pizza toy! My FiveSibes Huskies looove pizza and our alpha queen’s 14th birthday is coming up so I may just get this for her! Thanks for sharing such a great gift guide! Pinning to share!